Estonia, Latvia and Lithuania last Friday signed an agreement for receiving a grant of €110 million from the European Commission for the construction of the Rail Baltica railway project. 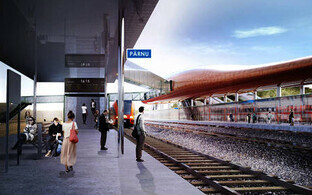 Most of the project's third allocation of money will go to Lithuania. 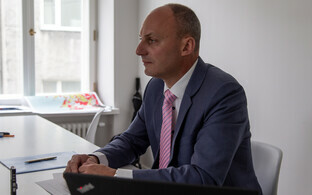 Of the support to be paid by the Connecting Europe Facility (CEF), €98.4 million will go to Lithuania, €6.9 million to Latvia and €5.1 million to Estonia. In addition, the three countries must themselves contribute €17.2 million, €1.1 million, and €900,000, respectively, according to a press release. 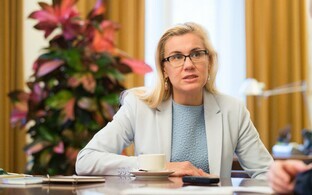 The main objectives for the additional funding received under the third CEF grant agreement are to fund significant progress with construction activities in Lithuania on the Kaunas-Lithuanian/Latvian border section, including building a bridge over Neris River and constructing access roads to railways for the whole section, as well as the beginning of construction preparatory works on the Pärnu-Latvian border section in Estonia. 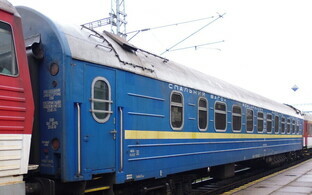 The additional support from the CEF will also fund the design of the section of railway running from Upeslejas to the Vangaži maintenance facilities in Latvia as well as smoother governance. The European Commission at the end on July 2017 made an official decision in the third round of applications to allocate €110.5 million to the Rail Baltica railway project. The funding agreements were then planned to be signed in November at the latest. 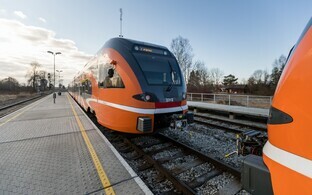 The three Baltic states and RB Rail AS, a joint venture of the three Baltic states established to carry out the Rail Baltica railway project, have previously signed two grant agreements with the CEF for the construction of the railway. Together with the grant agreement signed on 13 July, the total value of the EU grant for the project is nearly €824 million. The total CEF contribution for the activities foreseen under the three grant agreements accounts for up 85% of the total eligible costs, giving financial support for the implementation of the project up to a maximum of €683 million. 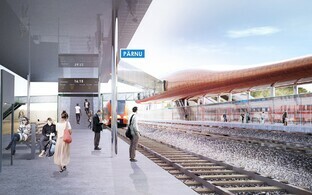 Along with the agreement signed by the Innovation and Networks Executive Agency (INEA), RB Rail AS, Estonia's Ministry of Economic Affairs and Communications, Latvia's Ministry of Transport and Lithuania's Ministry of Transport and Communications, the scope of eligible cost in the framework of the Rail Baltica project is €303 million for Latvia, €286 million for Lithuania and €235 million for Estonia, of which support from the European Commission makes up €247 million, €242 million and €194 million, respectively. 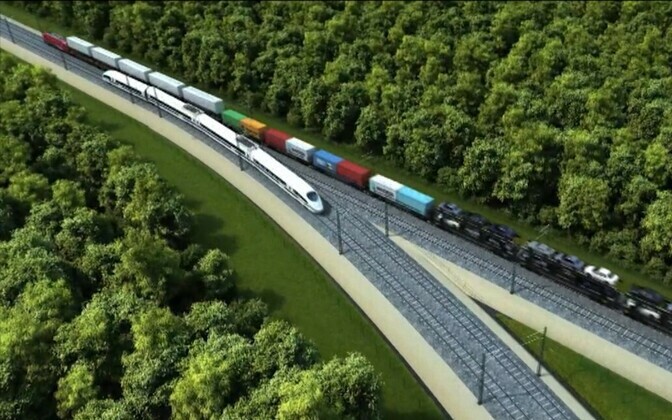 The Rail Baltica project seeks to establish a direct European standard 1,435 mm gauge railway connection between the Baltic states and the European railway network enabling speeds of up to 240 km/h for passenger trains and 120 km/h for freight trains.